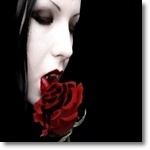 Experience the best vampire stories in every sub-genre. 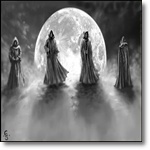 Whether you enjoy vampire horror novels, romance stories, the classics or a mixture of any of the above, you'll find tons of worthy reading material right here on this page. We've compiled a list of all our favorites, those submitted by other visitors to this site. We even went a step further to add in any that have overwhelmingly positive reader response based on a combination of hundreds of great reviews and our strict criteria. We've also added individual pages for many of these categories to provide a more in depth list of recommended vampire books and book series for you to enjoy. Check out the best of the best in vampire fiction. Below is a short list of some of our favorites. 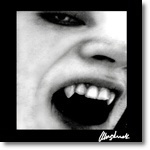 Click here to check out all our top vampire book recommendations. The only thing you won't find on this list is vampire romance stories. Those are split into categories all their own... one for teens and one for adults. Check out a growing selection of highly recommended vampire romance novels. We've got separate categories for teens and adults to make it easy for you to find the type of books you're looking for. If you're a series reader, this category was created just for you. We've compiled all our series books into a searchable list by series title. It contains everything we've got from romance to horror stories, classics and young adult books. Browse our library of recommended vampire authors. You'll find all our top picks and those shared by our visitors. We also scour the internet to find great new authors with overwhelmingly positive reader reviews and list the best ones here for you to enjoy.